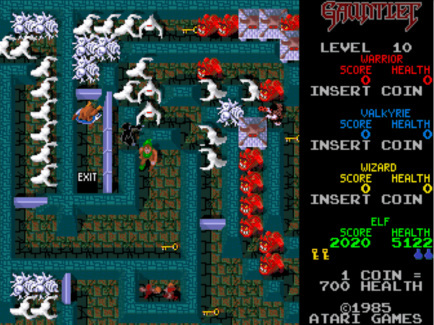 Gauntlet was a groundbreaking game in several respects. Firstly, it had one of the best custom cabinets that had been released up to that time. It featured great stereo sound. 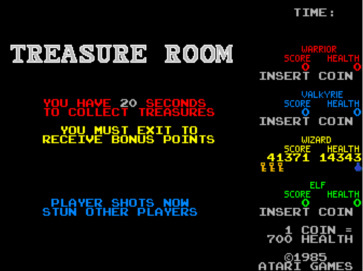 Contained dozens of digitised speech recordings and you could play 4-players simultaneously! Four people at the same time?! You must be having a laugh! 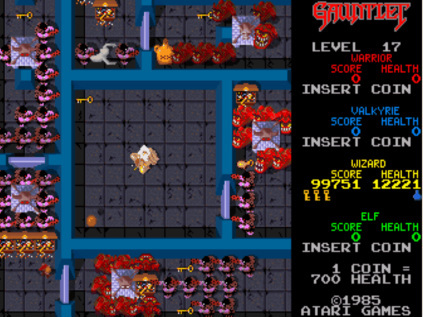 Gauntlet was a top-down maze type game in which players fight monsters, collect treasure and potions, eat food and attempt to reach the next maze level by finding the 'Exit'. There was no way of 'completing' Gauntlet. Levels just kept on coming (eventually repeating in a random pattern). Warrior is a character of extremes. 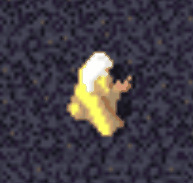 He is the slowest of the four characters in Gauntlet. He also has the weakest Magic Power. Further to this, it is not possible to fire his shots through diagonal blocks within a maze - making it often impossible to reach monster generators etc. These three elements make him a difficult character to succeed with. However, he makes up for these shortcomings by having the strongest Shot Power and crucially, the best Fight Power. 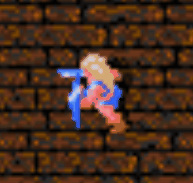 In my experience, Valkyrie was always the least popular character in Gauntlet and consequently the least used. I think this may be because she is a middle ground character when it comes to stats and has no obvious stand-out statistic. Even though she does have the best armour, this is the one statistic that is least visible to the player and so is easily overlooked. 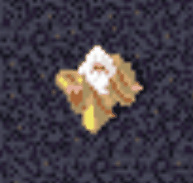 Wizard is a very popular character in Gauntlet. Probably because his Magic Power is so good. This is backed up by decent Shot Speed and Shot Power. However, he lacks armour and his Fight Power is very poor. Elf is the cheeky chappy in the group. 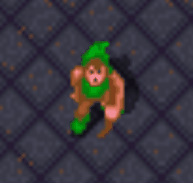 His movement speed is the fastest and is the one who has the best chance to grab any food when in a group. His Magic Power is second only to the Wizard and his Shot Speed is excellent too. He is let down by poor shot power. So WARRIOR has the best Fight Power. You cannot 'complete' Gauntlet. The levels just keep on ticking upwards and start repeating. 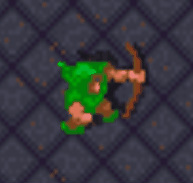 So it was the sort of game where you had to set yourself a target. For example, how far could you get on 20p? 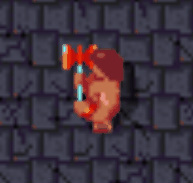 Once you get past level 7, the levels appear randomly; and some are a lot kinder to the player than others. 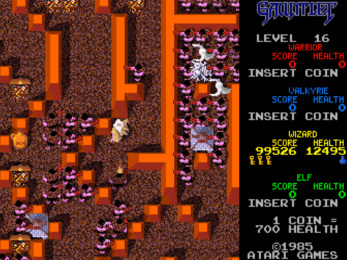 The level shown on the right is actually one of about three which are very similar in layout. All of them are horrible, as they are big 'health drainers' and there is no quick way to complete them. Some levels are 'continuously scrolling' and just 'wrap' around as you walk from left to right. Key: These are used to open doors. 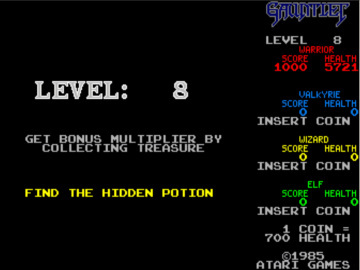 Some levels gave you the opportunity to 'Find the Hidden Potion'. 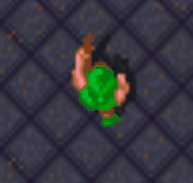 This is one of the five 'special' potions that provide the player with an enhancement to one of their characteristics. These potions can be shot, just like a normal potion, so care must be taken. If a player already has the potion in question and picks it up again, you are given a 'normal' potion instead. 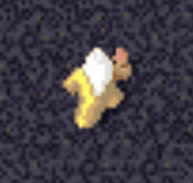 In a multiplayer game, this is one big cause of frustration, since another player could have benefitted from picking it up! Extra Fight Power hidden potion! Interestingly, the game still gives you the prompt, even if you have picked one up previously in the same game. 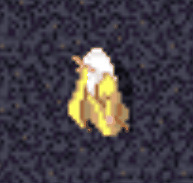 There is a good deal of digitised speech in Gauntlet. For it's day, it was groundbreaking both in the amount of speech and also the quality. Thief always follows your own walked path in order to get to you. Knowing this greatly helps in shooting him! 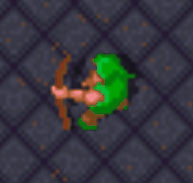 Characters with weak fight power (such as the Wizard and the Elf) can really struggle when surrounded by Grunts. 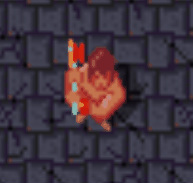 In these cases, you should move whilst tapping the fire button, so that you are firing and also fighting at the same time. This gives you the best chance of moving forwards. 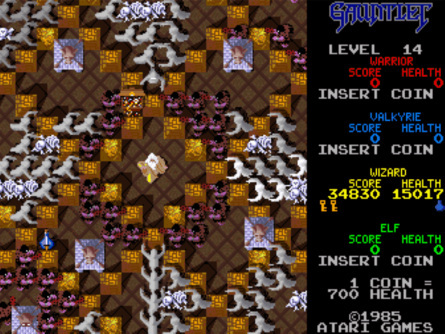 Note that if you play Gauntlet now on an emulator. 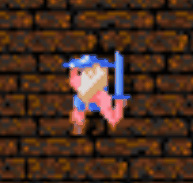 The levels are 'fixed' in their sequence, rather than being random. Around 185 health ticks, walls turn into exits. Doors open automatically after 30 ticks. Carrying too many keys/potions? 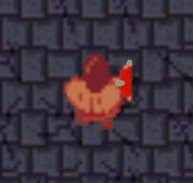 Sometimes this can cause you to be stuck.....(game says 'bombs'!) Poor. 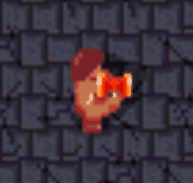 Thief takes a special potion and you are full in a corridor, you will be stuck!